I just took in the new American-everyman Tom Hank’s movie, Captain Philips which, surprisingly from its limited quality, has made over $218 million so far, and won six Academy awards. Directed in shaky-realistic-video by Paul Greengrass, who also oversaw two of the Bourne movies, the film has a stark realism. The problem, I think, is that it is too realistic. 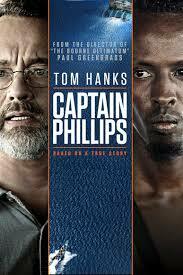 No one in this movie is portrayed as a ‘hero’, although they sort of try to make Captain Philips/Tom Hanks one. Philips is the captain of the ocean-going cargo vessel the Maersk Alabama, which is sailing around the coast of African near Somalia. Sure enough, as they were warned, the boat is attacked by a trio of Somali pirates in a motorboat. The only defense Captain Philips and his crew can offer are a stream of fire hoses, which the pirates easily avoid, and clamber aboard with a ladder. What follows is a supposedly tense situation wherein the pirates take over the ship then, mysteriously, just as quickly abandon the ship, kidnap the captain and flee to the Somali coast on one of the lifeboats. They are soon cornered by two U.S. Navy warships and, if that is not enough to deal with three malnourished Somalis, a whole team of uber-buff and heavily armed Navy Seals. All this could have been avoided had the initial crew been even lightly armed. As one of the crewmembers declared as the pirates approached, ‘if only we had a rifle’. Indeed. What I got from the movie, as I do from many of the few movies I watch, was the emasculation of the modern male. Whatever happened to the moral principle of self-defense? One well-aimed rifle indeed could have fended off the trio of pirateers in a glorified rowboat with an outboard motor. But no. The all-male crew huddle helplessly in the engine compartment, shushing each other to keep quiet; they do eventually ‘take down’ one of the pathetic pirates, but let him go when the Somalians agree to a swap for the captain, whom they, of course, kidnap onto the lifeboat. Forgive me if I am becoming rather jaded, but I found the whole situation rather ridiculous and, well, boring. The three Somalis, who together seemed to weigh less than one of the Navy Seals’ rifles, do not intimidating enemies make. This diminishes, even removes, the whole tension of the film. The action slows way down when things move off the Alabama to the small lifeboat, with but Captain Philips and three skinny Somalians shouting at each other. Another principle of self-defense is that it should be proportionate to the threat. I don’t need an automatic rifle to take down a ten year old trying to steal my mountain bike, and the crew members of the Alabama did not need two heavily-armed warships of the U.S. Navy travelling hundreds of miles (at what expense, one may only wonder morosely) to rescue one captain. Even if I did not know the story from ‘real life’, I knew the kidnappers were doomed from the get-go. It was, really, much ado about nothing. The only ‘tension’ was whether the captain would live or not, but even that got old after a few minutes. At any moment, the good captain could have been killed a dozen times, yet the Navy soldiers delay in good bureaucratic, by-the-rule procedure, until, in a sudden anti-climactic denouement, the Somali pirates are killed in a brief volley of gunfire. After this, the head pirate, whom the Navy managed to bring on board a U.S. Navy vessel, standing amidst the towering military personnel who make him look like a dark-skinned, underfed hobbit, is thrown to the ground, handcuffed, and arrested for trial in America. We are told in the credits that he is currently serving a 33 year sentence in a U.S. prison. Captain Philips is rescued, understandably blubbering and covered in his kidnapers’ blood as he is brought back aboard, suffering from shock; a snappy female medic (of course), all business, tells him to get it together as she cuts off his shirt. I get that this may well be what actually happened, and no offense to the good captain, for we all have our private moments, but do we really need to see such emasculation and humiliation in the film? I ponder: What would John Wayne have done in Captain Philip’s role? That would also have made, I think, for a far better movie.